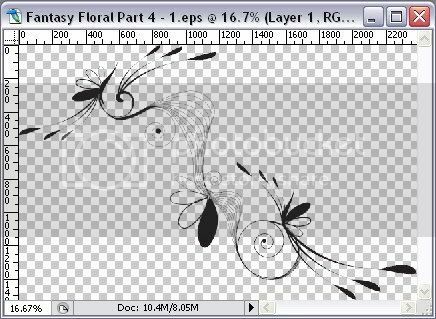 It took a while for me to design another photoshop brush set and I've finally managed to design the Fantasy Floral Photoshop Brushes - Part 5. You will find 3 different brushes inside the download file. 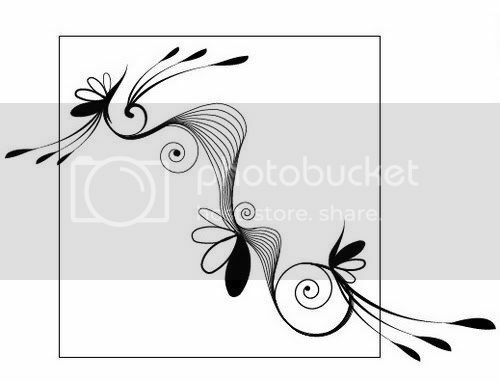 I've designed simple swirl curls as I wanted to have Art Nouveau's design style. I think it is a good idea to design another series of Art Nouveau's style, after the Fantasy Floral Photoshop Brushes-Part 3 hits more than 25.000 Downloads and 185 Favorites at Deviant Art :D. Thank you all Deviant mates for the fave on my gallery. Each of brush is categorized as small in size (850px - 900px). I have been checking out Graphic Identity blog stats performance over the past few months. The result shows me of how some graphic design articles, tutorials, and free design box posts has always been getting repeated visits on specific keywords, and it make me think to have things organized better. I just add up few more features on the sidebars. You can see that now you can access the most popular post in this blog as I have list of “Most Commented Post” links. Beside featured post list that has image thumbnails for each link, I think by adding another kind of list would lead you more to numbers of resources that might be useful for you to read. Another improvement for this blog is “Sideblog & Events” feature list that will show you the new updates of Graphic Identity and recent blogosphere news or events. You can find this link list at the bottom of very right sidebar. Another thing that I want to mention for clarification is that now I don’t do link exchange. But if you want to link the Graphic Identity blog URL permanently to your blog, you will have a free website or blog design review from me. Just contact me via email if you are interested. OK, now it’s time for the main update of Graphic Identity blog. Here is a collection of articles round up and some recent posts that I wrote for other blogs in social blogging activity. 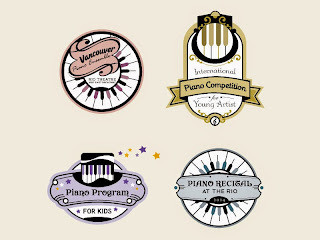 I have also included the graphic designs I made after I’ve joined a contest and sponsoring few contest months ago. Work on Increasing your Feedburner Email Subscribers! 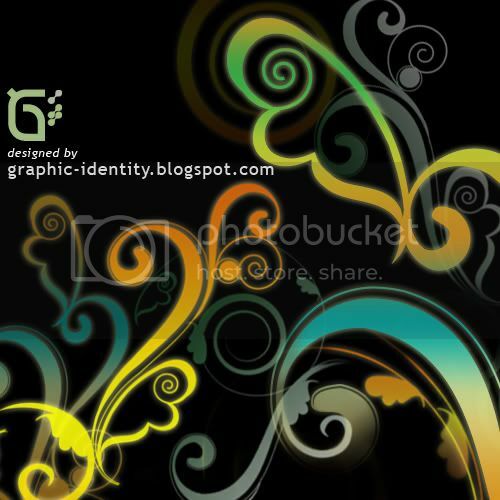 Graphic Identity was interviewed by Mert Erkal for Bloghology E-book free download. Containing list of bloggers from across the world. Today I'm going to show you how to create vector photoshop brush. You have probably know, that you can define anykind of graphic image as photoshop brush. If you want to create a specific graphic object with your own creativity... Why don't you start it by creating a vector graphic using Adobe Illustrator? My photoshop brush set collections set are done primarilly by Illustrator. Why? It is simply because Illustrator has a lot better tools to draw a graphic object from scratch than Photoshop. This kind of graphic that is made in Illustrator, will be known as vector graphic. Lets begin the tutorial now! Use black foreground and white background when you start. This is important to have sharp contrast when you are going to define your brush set in Photoshop. 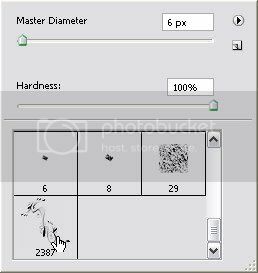 Resize the vector graphic using Scale Tool (s) if you want to set the brush set in certain resolution. After you are finished editing your vector graphic in Illustrator, save the file as EPS format, then open it in Photoshop. As you can see, by default there your EPS file will show no background because Photoshop only capture the black shiluette of your graphcis and the white background will be converted as transparent. In the Photoshop menu, go to the menu Edit > Define Brush Preset, and name your brush as your wish. Below the thumbnail view of your brush, you can see its resolution. In the Photoshop menu, go to the menu Edit > Preset Manager. On the Preset Manager dialogue box, select "Brushes" Preset Type and choose the brush you want to save. If you want to select multiple brushes, just hold shift key and click the brush thumbnail inside the preset box one by one. Push the "Save Set" button, and you will have the brush set saved as .ABR file. 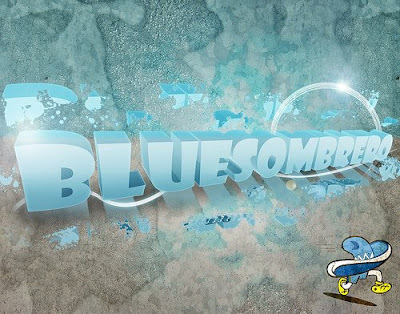 As I've started to get involved more into Blog Catalog Graphic Design Group, the members of this group has growing now and we have 198 members already. I always expecting something new in this group, as usual I came across to see some feedback and comments, and happy that I got a unique link-bait from Animatrick.com. From the first time this group is dedicated to all designers or blog authors who always need resourceful websites, either from a group discussion, special events, or even a design blog promotion. 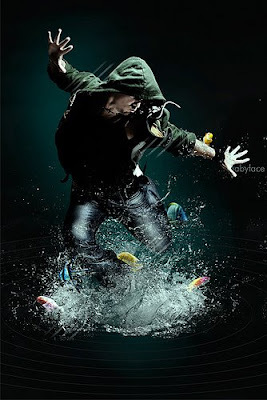 Animatrick.com has invited all the group members to have cross reviewed blog, (especially if you have PR 2 blog). I think this is a wonderful idea, because by doing this you can have more people to give constructive criticism over your blog or website in detailed explanation. Getting another comment in a different point of views and hopefully you can have better designed website and good quality of content in the future. 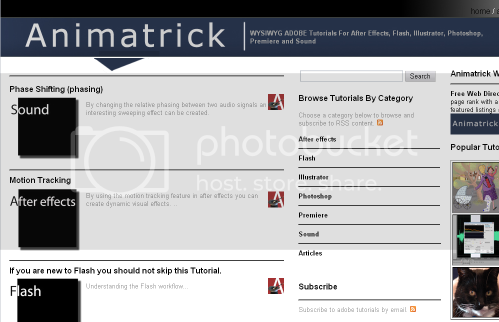 Animatrick.com is a resource website of WYSIWYG ADOBE Tutorials for After Effects, Flash, Illustrator, Photoshop, Premiere and Sound. Parviz is the founder of this cool website. 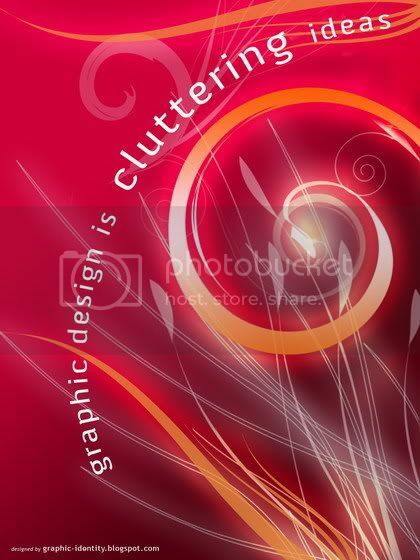 The website logo header is unique in design and concept. By adapting "A" typeface on crimson color background and the magician hat with the magic stick. 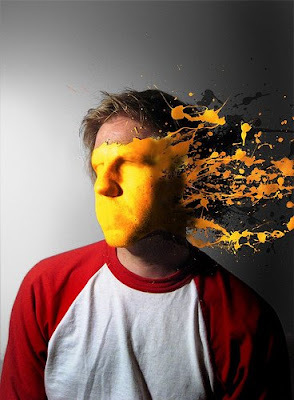 This concept is able to drive viewer's attention to understand the idea of this website, that Animatrick.com is a website with resourceful tricks and tips for every designer. The layout is dominated in white, the main content is placed on the left and the two wide sidebars are on the right side. At the first glance, this layout looks clean and properly arranged. As you can see, there are white spaces everywhere to avoid the clutters. Nice and neat typo hierarchy. Featured of popular tutorial on the very left sidebar is another way to make easier to navigate the most visited page using thumbnail pictures of tutorials. It would be better, if these pictures have some kind of title tag for each link. Another feature in Animatrick and of course good news for you who runs a graphic design blog is Animatrick Web Directory. This directory will bring benefit to you, when you want to grow your traffic, reputation and page rank with a listing in our web directory. Free and featured listings are available. You can also submit your site for Weekly Competition. Recently, Animatrick.com has been also inviting you to join banner exchange program. However, I have another opinion for the Animatrick.com. I found out that this website is build with layout tables instead of using CSS. It is also surprising me that the tutorials and articles are put on the main content using frames and scrolls. The reason I brought this into the review, is this website may have more advantages if the founder cold somehow redesign it or rebuild it using pure CSS mark up. There is a great old article from A List Apart: Where you can find the differences between table and semantic markup, at the implementation level. I have to say that this website is way too wide for small screen user. I think rebalancing the two sidebars as, when the very left sidebar is built in 330px and the next one is just 250px, will somehow decrease the website's width into something that is comfortable enough for the readers. Another thing is the navigation menu on the top right of the layout. As the width of this website is almost 1200px, it took me a while to seek the "Home" link when I was landed on tutorials section. I was using small width screen, when I realized later on that by scrolling to the right I finally found the navigation links. These links are better seen if they are designed on tabs menu as I've seen poor contrast quality of the links typography with the dark background of the header. I just wish Parvis best of luck with everything that has been done to the website so far and to promote Animatrick.com. Are you ready with another graphic design contest? PSDTUTS has started a contest that is so easy to join. The theme of this first month is Learning and Applying Your Knowledge. They will be looking at how you take techniques learned from any tutorial on PSDTUTS and apply it in your own work. After you create an entry, be a member of PSDTUTS Flickr group and upload your submission to your Flickr account and place it in the PSDTUTS pool. There is no limit on the number of entries you can submit. The deadline will be by the End of May. This means that the last day for all submissions is May 31st, 2008. The announcement of the winner and showcase the top work will be posted during the first week of June. Read the rest of the announcement and the list of awesome prizes on PSDTUTS and be inspired with the recent entries update now! Visit PSDTUTS Contest Submissions Update where you can see the entries submitted by amazing graphic designers. Meanwhile, here are my favorite entries on the PSDTUTS pool May contest and start your own entry right away! I would say that Blogspot is the most user friendly platform blog for a newbie to a blogger master. Even if you are good enough in PHP programming or Wordpress, hacking the Blogspot is still quite challenging! and for me, that is the art of blogging process to grow. It is always our authority to choose and to use whatever platform we think the best. But please bear in mind, every blog platform has its own advantages as well as the disadvantages. I have my own opinion about this. Therefore, if I need to set a blog in Wordpress, I won’t consider Blogger Blogspot as a failed platform. My most concern is to know how it works, experiment and to optimize the features in it. 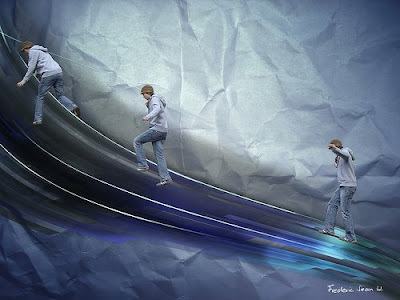 By doing it, we will know which platform that works best for our blog topic concept. Enough with the bragging out :p because today I will share Blogger Blogspot Hacks parade to make up your blog a bit better! Don’t forget to subscribe if you like this article, so you won’t miss the next update! I've been caught up in a very busy weeks. Could hardly manage my time to update Graphic Identity blog. I feel so sorry guys that looks like the Blogroll Links post must have new scheduled picks, because from now on, Graphic Identity will publish the Blogroll Links in biweekly scheduled post only. Web Design Tutorial by Carlos A.